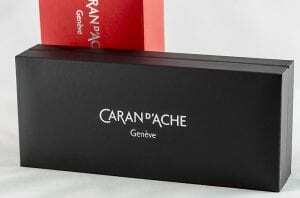 I finally got the chance to test a serious fountain pen from Caran d’ Ache, the Caran d’ Ache Ecridor. This fountain pen immediately feels good. 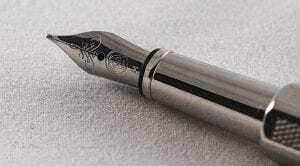 It is a beautiful writing instrument, I can’t call it anything other than that. The Ecridor Retro fountain pen by Caran d’ Ache has an engraving in the shape of a diamond, derived from the famous pencil from 1947. 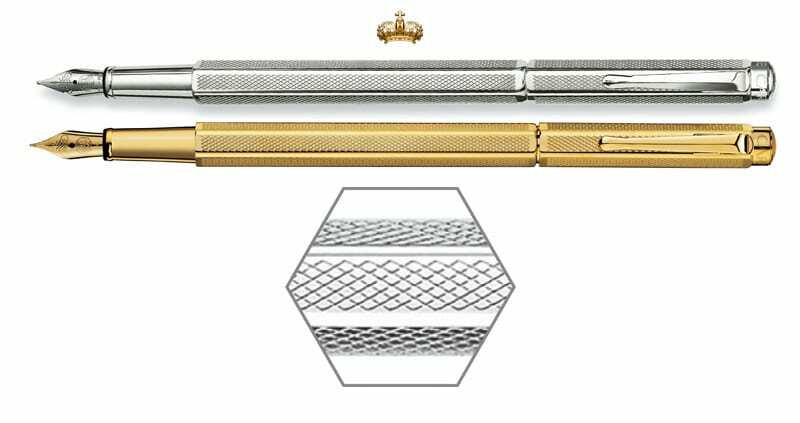 The Ecridor collection with its hexagonal shape, elegant decoration, luxurious materials and Swiss quality, is a favourite for many fountain pen lovers. This is also perfectly logical for me now, because I wanted to keep it immediately after I got hold of it. Frankly, I don’t like all metal fountain pens at all, but sometimes you have to make an exception and quality dictates respect. Only the fact that this pen is too thin for my hands stopped me from buying this fountain pen. 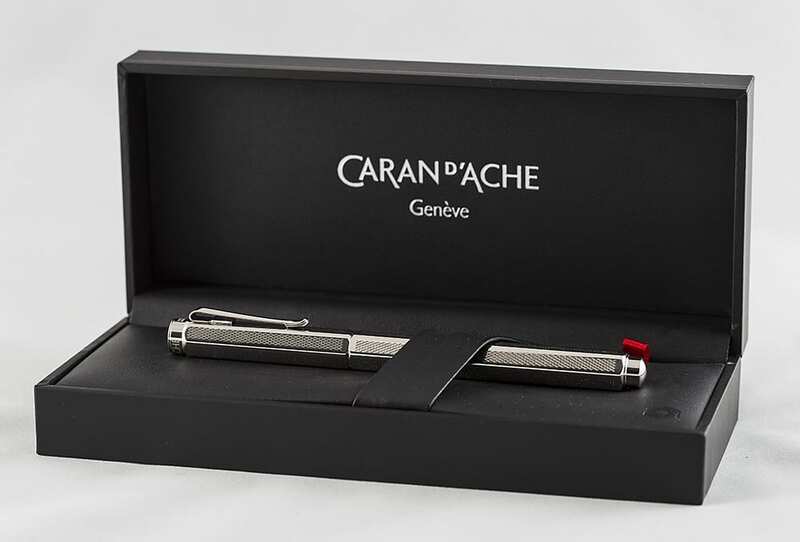 How does the Caran d’ Ache Ecridor write? This is really a fantastic fountain pen. The nib is perfect, because it writes excellent. Without hesitation, this pen obeys all my commands. This is an outstanding fountain pen for everyday use. Actually quite similar to the Parker Sonnet. 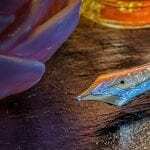 It’s a quality product and that’s what you notice in all its aspects. The clip is also excellent. Everything fits well with and on top of each other. Nevertheless, I recommend that you do not write with the cap posted. The center of gravity of this fountain pen lies too much to the back with the cap posted. 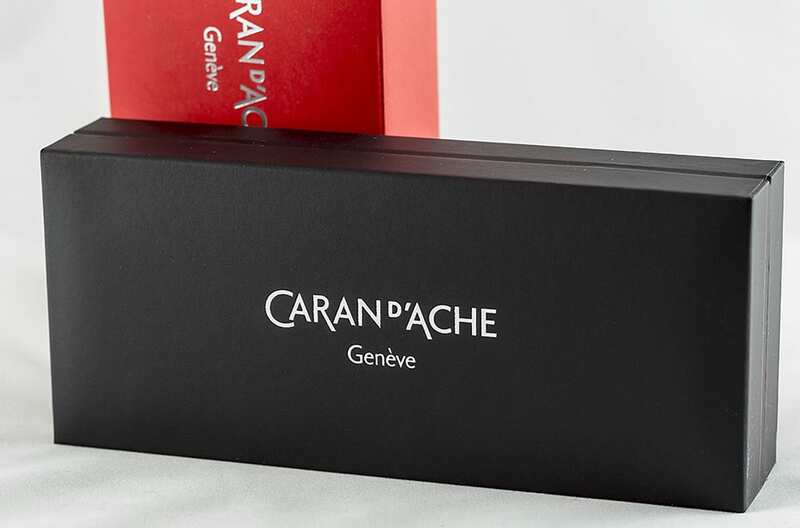 The Caran d’ Ache Ecridor fountain pens are available in a silver-plated version with rhodium layer or a gold plated version. 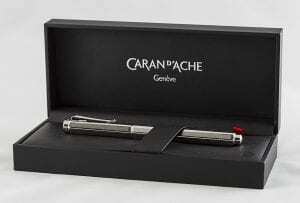 The rhodium layer ensures that the pen does not become dull during use. The decoration is applied with a diamond engraving. Everything has been thought of, there is even a space of 12 mm available for a personal engraving at the top. I wish this fountain pen was just a slightly thicker one. Then I would probably have bought it. 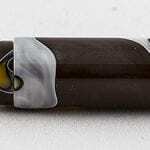 The fountain pen is available with a nib in different thicknesses and uses ink cartridges or a converter. It starts hard , often skips and dries . In a such a price range you could get pelikan m20x superior writers or japanese sailor gold nibs . The case is brass and just with luxurious coatings , its a little too long , and a grip section is non existant . Mine is nothing like that, it’s now my ‘every day’ pen. 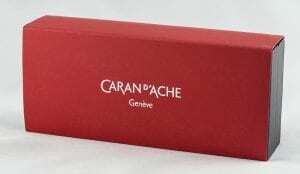 It’s my first Caran D’Ache – normally its Yard-o-Led, Sailor, silver Sonnet range and Conway Stewart (alas no more). Smooth, good ink flow, no skipping or ink bleed. With the fine nib I almost get the same level of detail as a Sailor with an extra fine nib. It’s well weighted without being awkward in the hand. 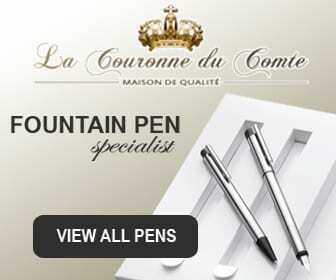 It reminds me of the Elysee or Kaweco.